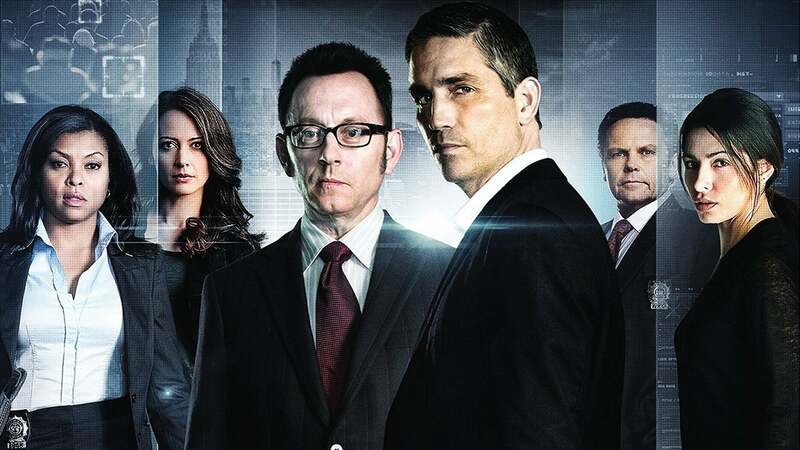 One of the best spy tech shows on TV ever, Person of Interest, came to its beautiful end last Tuesday after 5 seasons and 102 episodes. It is not often that a great show or a great book can achieve an equally great ending. But Person of Interest didn’t just manage it, it excelled. Even more fascinating is the fact that the show was given a compressed 13 episode extension for this year within which it had to tie its sprawling mythology together. Jonathan Nolan and Greg Plageman did all that and more in a graceful, moving, effective exit. I have always loved the concept (humanity vs. AI) from the very beginning, the execution was always nearly flawless and the fabulous performance of a stellar cast was a dream to watch. The tech thriller aspect or the crime procedural were great but the core attraction of the show was the relationships between the main characters. The biggest worry I had when CBS let the axe fall was how well would POI be able to wrap it all up and not jar the audience. Heroes fell. Good people were lost. But, my oh my, was it a beautiful conclusion or what? The hour was edge-of-the-seat suspense. The brilliant weaving back and forth in timelines and the way the machine became an unreliable narrator of sorts in regards to what it was remembering, was masterful. As was Amy Acker’s presence as the machine in the final hallucinatory scenes. What an apt ending for Reese’s arc. Here I’m sighing just thinking about it two days later. The open endedness of the AI battle was also appreciated. A fan like myself can still keep on hoping for a spin-off, especially given the twist of Episode 11. There were plenty of theories leading up to the series finale, one of them being a reveal of a matrix styled world where the story was happening in one of the machine’s if-then-else loops. That would have been a let down, glad it didn’t. One of the best things about POI is the relationships between its main characters, be it the I’ll-lay-down-my-life-for-you friendship between Finch and Reese, or the would-be/could-be tease of a relationship between Root and Shaw, or the Machine’s connection to each member of the team. That aspect not just stayed strong, but shone brilliantly in the end. I choked when Shaw wiped off that tear. Awww. . . they even took good care of Bear. Pets are important. Are you listening GoT? Yes, I know, I’m rambling. You can tell I’m still deep in it, can’t you? I wish they let POI be for a couple more seasons. There was a risk the story would unravel, but there was so much more to be delved into, and so many opportunities missed. The depth of POI, a tech thriller, crime procedural, is evident in how the machine grapples to understand the meaning of death, that’s where the richness shows. What could be deeper than that? You will be remembered, POI, and that’s how you’ll live.